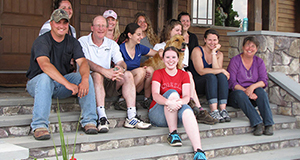 My time as a veterinary science intern at Buttonwood Park Zoo provided me with valuable hands-on skills in addition to an understanding of the inner workings of a small zoo. I was fortunate enough to have been able to experience animal care from a veterinary staff perspective as well as from a keeper perspective. 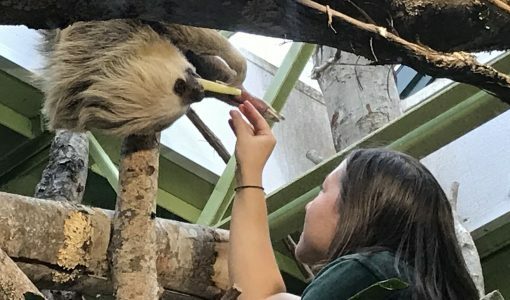 Decisions are made using a collaborative method between the administration department heads like the director and/or the curator as well as with the veterinary staff and the keepers with whom the animals share an important bond. Most of the summer was spent developing my interest in captive welfare through research. My research and communication skills that had been strengthened during the MAPP program proved extremely useful during my internship. In the future, I expect to continue using these skills to build professional relationships in the zoo community to ultimately improve welfare for all creatures living in captivity.